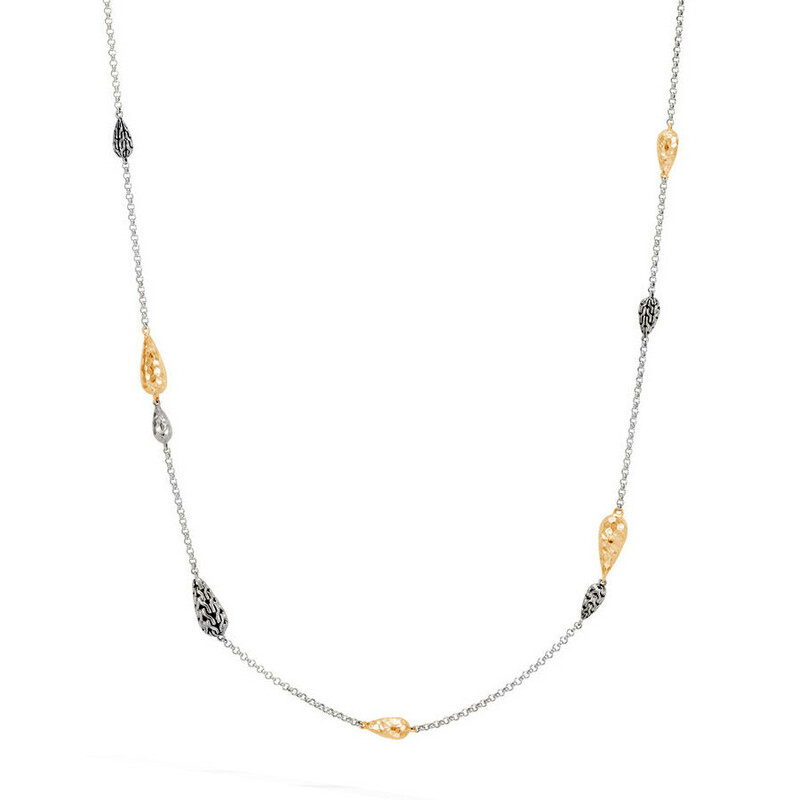 This John Hardy hammered gold & silver station necklace from the Classic Chain collection includes a sterling silver chain with alternating silver and gold stations. Each station features either the brand's classic chain motif or is rendered in the organic feeling hand-hammered technique. The two-tones and varied texture styles evoke John Hardy's fascination with the natural world and his love of updating classic designs with a modern twist.